Vitamin B12 deficiency is a common condition, to which the usual response is a simple multivitamin or supplement. But what if the problem is more complex? Taking a supplement may not be the easy fix you expected. Read on to discover the potential underlying causes and holistic fixes for a deficiency of this important vitamin. In a nutshell, vitamin B12 is required for the synthesis of three very important substances within the body. These are DNA, red blood cells and the myelin sheath which insulates our nerves. Along with acting as a building block for vital structures, B12 supports many functions such as circulation, immunity, hormonal signaling, and the healthy formation of skin, hair and nails. Vitamin B12 is also extremely important for mental and emotional health, for maintaining healthy nerves and supporting energy, concentration, memory and mood. Vitamin B12 is also essential in the production of neurotransmitters and brain chemicals such as serotonin, melatonin and dopamine. These compounds allow for signaling and communication within the brain. They regulate happiness, aggression, sleep and cellular healing, among other things. Without sufficient vitamin B12, we experience a wide range of symptoms including fatigue, weakness, memory loss, and malfunctions of the brain and nervous system. In fact, recent examinations of the importance of vitamin B12 have suggested that much of the decline in health that we consider “normal signs of aging” may actually be related to or caused by a deficiency of this important vitamin. Depressive disorders have also been closely connected to insufficient levels of vitamin B12. Children can experience different symptoms of vitamin B12 deficiency than adults. This is especially worrisome in children who are being fed vegetarian and vegan diets. Some of the effects seen in children include developmental delay, apathy, irritability, seizures, poor social skills, poor motor skills and speech problems or delays. The good news is that a greater awareness of this problem can only lead to earlier detection and prevention by holistic means. A huge portion of the population suffers from vitamin B12 deficiency with increasing prevalence as we age. If your B12 levels are in the “low normal” range, even this is deficient enough to cause neurological symptoms. Because of this, some estimates place vitamin B12 deficiency at nearly half of the population. Deficiency can set in and cause irreversible damage before the signs become obvious, so it’s important to address it early. Those eating a vegetarian or vegan diet are at a much higher risk, since true vitamin B12 (cobalamin) is only produced by animals and bacteria. Some plant foods contain similar compounds called cobamides which interfere with the metabolism of true B12 and actually increase the requirement for this vitamin. One study using modern multifaceted techniques of diagnosing B12 deficiency found that 68 percent of vegetarians and 83 percent of vegans had dangerously low levels. Other groups who are more likely to be deficiency in vitamin B12 are people with intestinal and digestive problems, people over the age of 60, those who use or have used medications such as acid-suppressants and metformin, and women who have experienced miscarriage or had trouble conceiving. The best way to detect low B12 in the early stages of deficiency (when damage can still be prevented or reversed) is to use a recently developed test which reads a marker called holotranscobalamin II. According to functional medicine practitioner Chris Kresser, “Holotranscobalamin II is composed of vitamin B12 attached to transcobalamin, and it represents the biologically active part of B12 that can actually be delivered to the cells and perform all of the functions of B12”. Conventional blood tests may also detect low B12 but it’s important to note that the results may be misleading. On blood test results the threshold for deficiency is generally considered less than 200 pg/mL while studies indicate that damage and symptoms begin to occur in the low-normal range, between 200 and 350 pg/mL. It is also important to consider that high blood levels of vitamin B12 do not necessarily indicate that the vitamin can actually be used actively in the body. This is why the holotranscobalamin II test for the active form of B12 is more sensitive and accurate, although it is still on its way into mainstream use. Most supplements you will find at the supermarket or pharmacy in North America contain vitamin B12 in the form of cyanocobalamin. In Europe, the common form is hydroxocobalamin, which has a better rate of effectiveness than cyanocobalamin. Better still is methylcobalamin, a form that bypasses many steps in the process required to make B12 usable in the body. Since you are much more likely to be able to digest the supplement and gain benefit from it, going to the extra effort to locate and purchase the methylcobalamin form is likely worthwhile. For those with gut and digestive issues, a sublingual form of methylcobalamin, which is dropped under the tongue and absorbed into the bloodstream, is recommended rather than an oral capsule which must be digested. In extreme cases you may receive your supplement by injection. Although levels for supplementation should be determined based on individual needs, a good general regimen would be to use methylcobalamin along with some other nutrients that support its function in the body (known as cofactors). These include folate, potassium and trimethylglycine (TMG). Interestingly, vitamin B12 is the only nutrient that we cannot get from plants or sunlight. 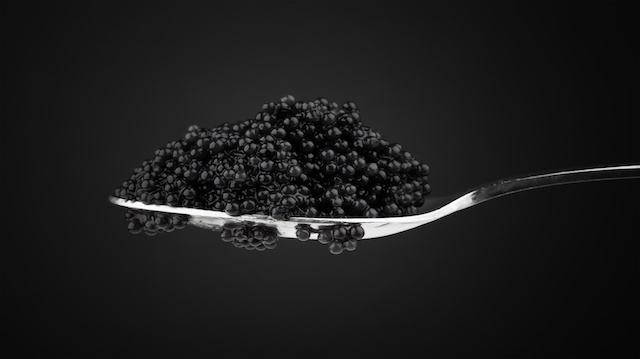 Therefore, the sources of true vitamin B12 (cobalamin) are animal foods, such as organ meats, muscle meats, shellfish, seafood, caviar, cheese and eggs. Wild-caught or pastured animals which have lived in a natural environment, eaten a healthy diet and been humanely handled and minimally processed are the most nutritious (and ethical) sources. As is the case with many health issues, poor digestion can be at the root of a vitamin B12 deficiency. Even if you are consuming a lot of B12 via animal foods in your diet, this does not guarantee that adequate amounts are being absorbed into your system. One of the most easily rectified causes of vitamin B12 malabsorption is to check out your medicine cabinet. If you often use antacids or prescription proton-pump inhibitors, it would be wise to consider trying to improve digestion at the source rather than using these medications. Stomach acid is an absolutely vital part of being able to break down and use the nutrients from food properly, and the drugs mentioned above severely impair its production and function. The hydrochloric acid contained in your stomach is necessary for removing the vitamin B12 molecules from the foods you eat so that it can be absorbed further down the digestive tract. As a side note, metformin which is used to medicate diabetes, has similar negative effects on digestion. Other factors preventing the proper absorption of vitamin B12 include chronic illnesses like inflammatory conditions of the gut (think Crohn’s disease, ulcerative colitis and bowel disorders) and autoimmune diseases (thyroiditis, Grave’s disease, lupus or pernicious anemia). In this case reversing these conditions through a holistic nutrition and lifestyle protocol such as the GAPS diet could be an important first step in addressing vitamin B12 deficiency. One final note — drinking soda can prevent vitamin B12 absorption too. Just another reason to avoid those sugary drinks! Understanding the root cause of vitamin B12 deficiency is an important step toward rectifying this common problem. Take some simple steps to regain your memory, mental clarity, and vital energy! Previous articleHow Dangerous Is BPA Exposure from Canned Food? Hey Buddy!, I found this information for you: "What’s Really Behind Your B12 Deficiency (Supplements Won’t Fix It)". Here is the website link: https://www.thealternativedaily.com/b12-deficiency-supplements-wont-fix-it/. Thank you.